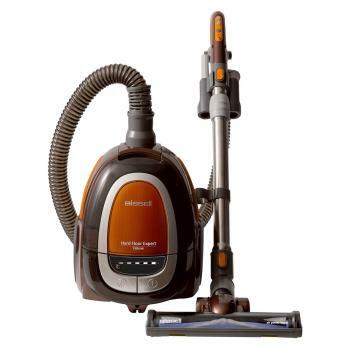 With the Bissell Hard Floor Expert Deluxe canister vacuum, you have a specialized, lightweight tool designed to clean delicate surfaces, high and low, with powerful suction. Digital fingertip controls let you reduce suction power for area rugs and other delicate surfaces. Rubber wheels and felt treads won’t scratch or mark floors, and the brush has extra soft bristles so you can clean with peace of mind. The Easy Empty dirt tank, automatic cord rewind, and a full complement of tools make cleaning your hard floors fast and easy. Finally, a vacuum that’s made for your hard floors and your life. 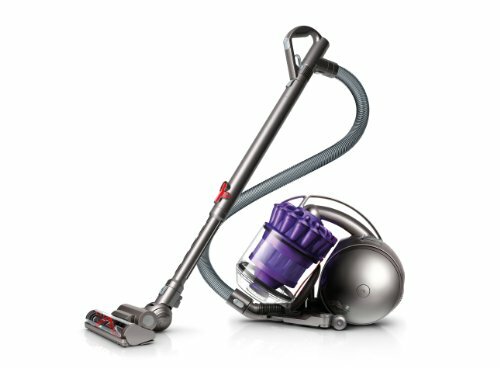 Why should I invest in a canister vacuum? Canister vacuums are generally lighter and more maneuverable than uprights. They are great for vacuuming under low tables and furniture. The compact design makes them easy to store and to carry on stairs. Many canister vacuums have tools and attachments that clean almost any surface. What makes it safe for hard floors? It has nonmarking wheels made of rubber and felt. The brush has softer bristles that are not as tough on hard floors as a typical vacuum brush. Easily reduce the suction for delicate area rugs and more. Soft bristles are gentle on hard floors but tough on messes— loosening dirt that’s then picked up with powerful suction. Made of rubber with felt treads, they won’t scratch, scuff, or mark hard floors. It opens from the bottom for simple, no-mess disposal. Telescopic Extension Wand for extended reach and easier cleaning of curtains and stairs.